Rolly Tractor and Trailer in classic John Deere colours. It features an electronic steering wheel with realistic engine sounds and a horn. 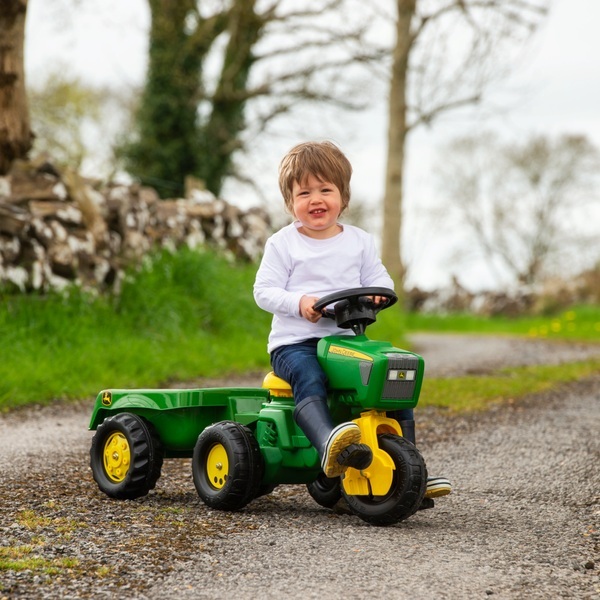 Let your little farmer pedal their own John Deere tractor and attach and detach their trailer as required.